Poor Sleep Isn’t Just Annoying – It’s Leaving You Wide Open and Vulnerable to Dangerous Diseases! Most people are well aware of how annoying it is to wake up groggy and tired after a night of little or no sleep. What’s even worse is that everyone can tell when you haven’t slept well. You’ll be cranky, you’ll have dark circles under your eyes, you’ll suffer from a serious case of brain fog, and just be miserable in general. But it’s not going to kill you, right? As it turns out, missing out on quality sleep is more than just annoying. Not getting enough sleep and/or getting poor quality sleep can have some serious consequences when it comes to your overall health. 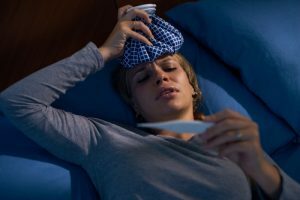 While it’s common sense that driving or operating heavy machinery while sleepy can have some disastrous health consequences, most people aren’t aware of the more insidious ones. The most dangerous of all – the one you’re least likely to notice until it’s too late – is the way poor sleep or lack of sleep damages your immune system. How Does Poor Sleep Destroy Your Immune System? It has been proven time and again that your average adult requires 7 to 9 hours of sleep each night in order to be optimally healthy. But what most people don’t know is that the quality of your sleep cycle is just as important as how many hours of sleep you get (if not more so). We will address the issue of your nightly sleep cycle in a future blog post because it is to important and to nuanced to simply discuss in passing. But the long and short of it is that you need to devote sufficient time to the shallow sleep, REM, and deep sleep stages of your cycle if you want to stay healthy. And if you don’t, there are a multitude of negative health consequences that can come from it. Immunosuppression is only one of them. Unfortunately, for most of us, getting enough hours of sleep or completing a healthy sleep cycle doesn’t happen all the time. And when you fail to get that sleep you need, it causes more problems than you think. According to recent scientific studies, researchers have exposed something previously unknown: a lack of quality sleep has the same as subjecting yourself to excessive and unhealthy levels of stress. Unfortunately, the bad news doesn’t stop there. On top of sleep deprivation being the same thing as exposure to excess stress, your lack of sleep produces a stress reaction of its own. When this happens, your body gets confused and thinks that it’s sick. When the body believes that it is under assault from an infection or a virus, it ramps up its immune system. And this effect can happen after even as little as one night of poor sleep. A lack of proper rest can send your T-cell levels plummeting. T-cells are like the foot soldiers of your immune system – they are the cells responsible for cruising through your bloodstream on a search and destroy mission for pathogens. No matter how hard you work to protect yourself from exposure to pathogens, your efforts can be rendered moot if even a single bacterium sneaks into your body. When you don’t have enough T-cells to find the infection and neutralize it quickly, it is free to multiply en masse. When this happens, you start to feel sick. If you can’t prevent the infection from multiplying before it reaches a critical mass, it will take over your whole body and cause massive damage which could leave you crippled or even dead. Before you say to yourself “well, I always get my flu shot every year, so I’ll be safe, right?” The answer to that question isn’t always a definitive “yes”. In reality, getting your flu shot after a restless night can do more harm than good. Some flu vaccines include a weakened form of the virus as opposed to a completely dead one in order to help your body build and boost its immunity to the pathogen. If that weakened virus gets into your system and your T-cells don’t eliminate it quickly, it’ll basically be the same thing as someone injecting you with a live, active strain of flu. As horrible as it feels to struggle to get to sleep at night, it’s actually easier to get the rest you need than you think. You can use special techniques to change the way you wind down for bed in the evening. These techniques help make it easier for your body to relax so that you can get the rest you need. 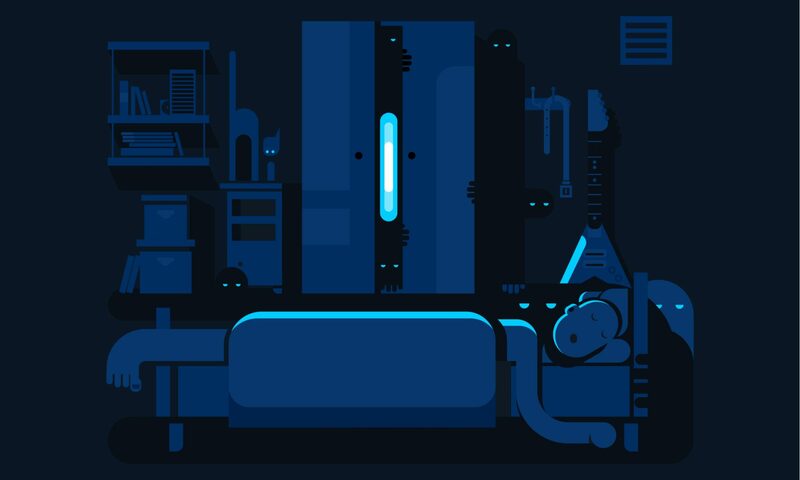 Many of them fall under the umbrella of sleep hygiene, and we will be happy to tell you all about them in a future blog post. We feel like it’s important to take a minute and provide you with a cautionary warning. Prescription sleeping pills and over the counter drugs aren’t a very good solution to the problem. They make most people feel as if they’re getting sleep, but this is merely an illusion for the most part. Over the counter sleeping pills are particularly insidious since they cost less than prescription pills and they are easier to obtain. Unfortunately, these drugs interfere with the ability of your brain and your body to get truly restorative rest. When your brain doesn’t get the restorative sleep it needs, certain regions of the brain (such as the pituitary gland, among others) can’t regulate your hormones correctly. This can have a very direct and detrimental effect on your sleep. So we strongly recommend against using over the counter sleeping pills in order to alleviate your sleep problems. For now, though, you should focus on trying to find natural solutions to your nightly restlessness. We highly recommend an herbal sleep aid – especially one with a good amount of melatonin – for sleep problems. Products which contain not just melatonin but compounds like 5-HTP and lemon balm are excellent for helping you fall asleep safely and naturally. There are plenty of products out there, too – it’s just a matter of doing the right research and finding the sleep aid that works for you. Next PostNext Is Your Doctor Being Honest About the Potential Dangers of Prescription Sleep Medication?